There have been many words used concerning the past election. Some are angry, some concerned, and some comfortable with the selection for President. Now the first task for the President-elect is setting up his new administration by selecting major appointments and staff. All of Connecticut’s General Assembly seats were also up for election. We saw changes in the make-up of both the House and Senate. The biggest change was in the Senate. There is now an even split in the Senate between Democrats and Republicans with an 18 – 18 tie in the election results. This brings into play the importance of the Lt. Governor who oversees the Senate sessions. The Lt. Governor is allowed to cast a deciding vote in cases of ties. Since the Lt. Governor is presently a Democrat, that makes the Senate lean Democratic. The House is still Democratically controlled but by a much slimmer margin. The Republicans picked up 8 seats giving the House a 79 – 72 split. This is the most seats that the Republicans have held since 1986. The state General Assembly’s newly elected members are already busy at work at the Capitol setting up their leaders and committees. They have already selected their Majority and Minority leaders for both the House and Senate. Then the leaders selected the various committee chairman and committee members. The freshman class of legislators has been attending orientation classes before the session starts. This is also the time for legislators to submit proposals for bills for the upcoming session. Sessions support staff is being hired that will work in the different committees for the session. The moving and assigning of legislative offices is also an interesting process to watch with different members jockeying for better or larger offices. I have seen members bring in tape measures to check the size of offices. The General Assembly officially opens on January 4th, 2017. Again Gordon Gibson will be our voice at the Capitol watching and communicating on various bills as they arise. 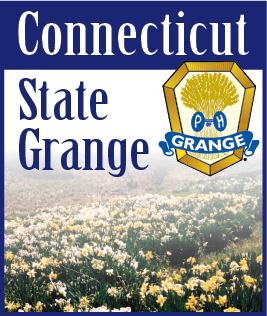 We will be posting any testimonies, that are submitted to the General Assembly by the Connecticut State Grange, on our web site.